(Saluda, South Carolina) – 4/7/2018 – It is with a heavy heart that we announce the passing of Saluda County Sheriff’s Corporal Dale Hallman. 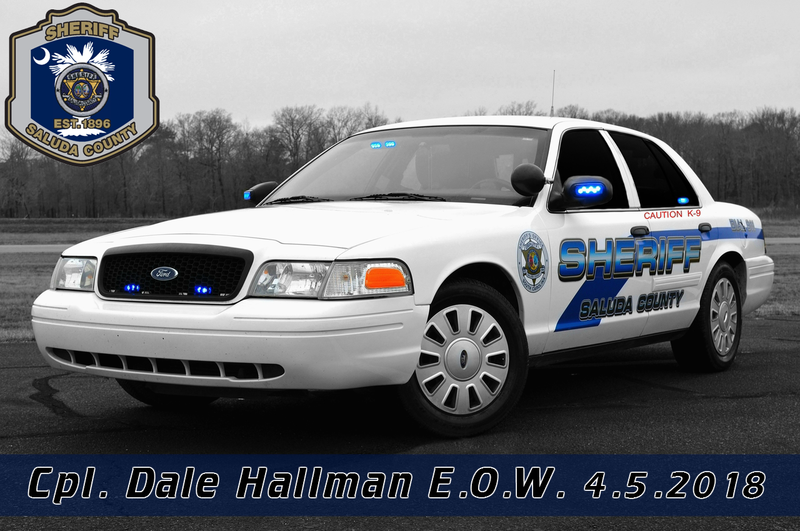 Corporal Hallman passed away Thursday, April 5th as a result of a single vehicle accident while enroute to a K-9 track for a suspect involved in a chase that had crossed over into Edgefield County. Visitation will be at Ramey’s Funeral Home on Sunday April 8, 2018 from 4pm-6pm and the service will be held at Saluda Baptist on April 9, 2018 at 11am.